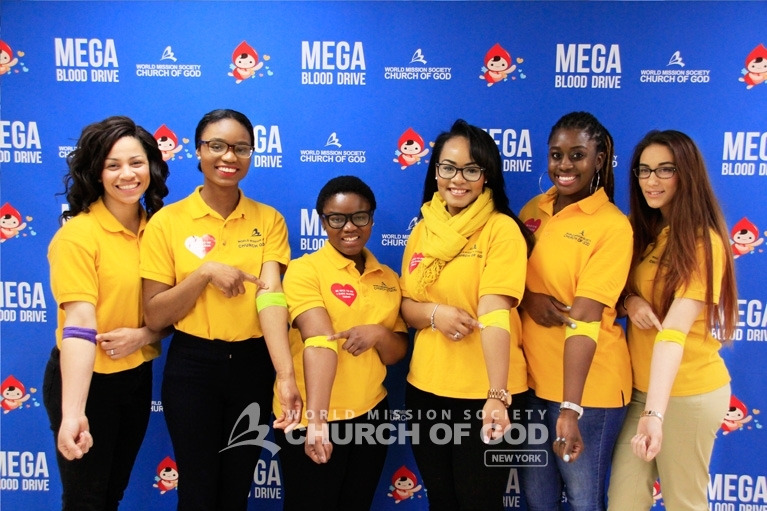 On three consecutive Sundays in April, the Church of God hosted the 2018 Mega Blood Drive for the Passover. 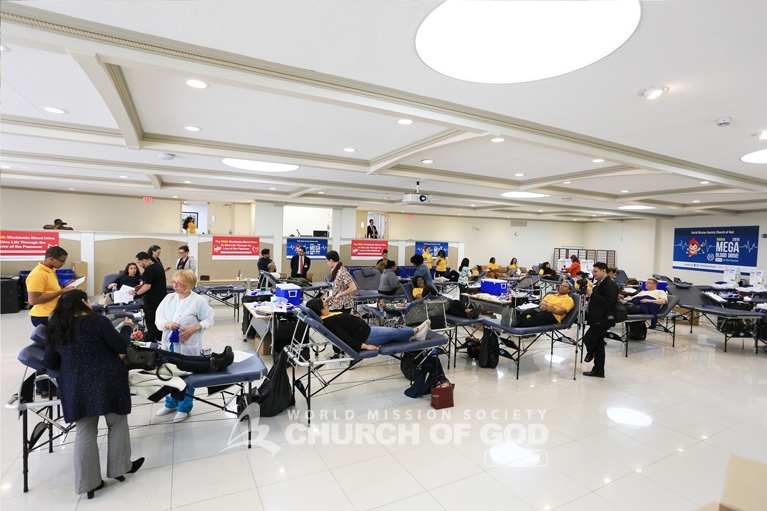 Approximately 12 Church of God locations on the East Coast held blood drives. As a result, over 2,000 volunteers gave blood, totaling a staggering 6,000 lives that can be saved. 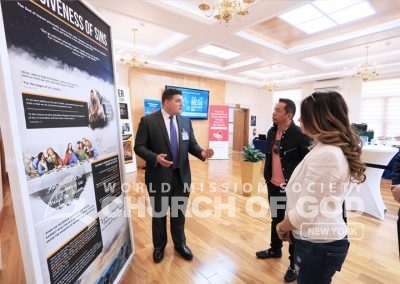 Additionally, the Church of God was also able to commemorate the New Covenant Passover, a Christian feast through which Jesus Christ gave His blood for mankind. 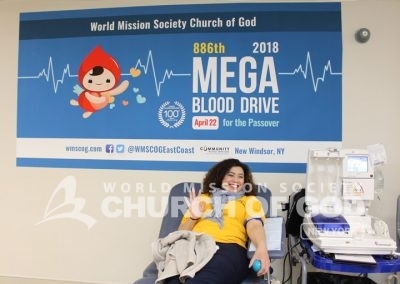 A Church of God member joyfully donating her blood at the 2018 Mega Blood Drive for the Passover in New Windsor, NY. 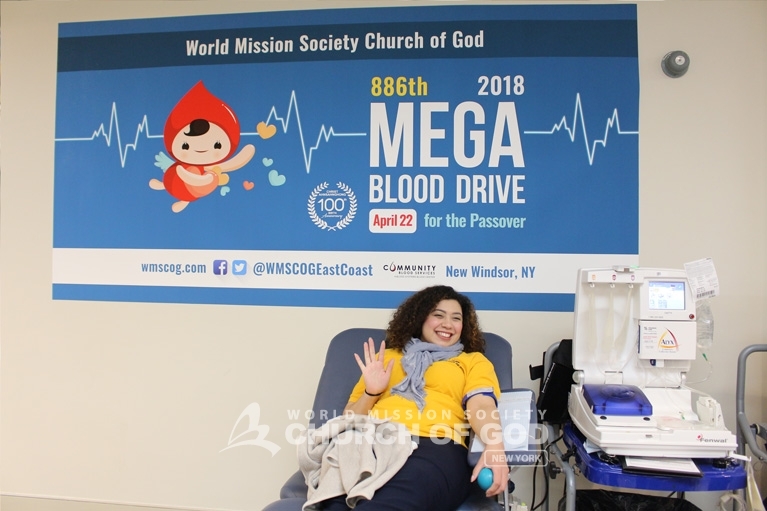 A donor and Community Blood Services phlebotomist share laughs during the 2018 Mega Blood Drive for the Passover. Volunteers from the Church of God and surrounding communities filed in by the dozens into the donation area to give blood. For weeks prior to the Mega Blood Drive, volunteers reached out to nearby communities and local officials. Local radio stations even broadcasted about the upcoming blood drive. On the day of the event, volunteers facilitated registration, welcomed guests, and escorted donors to and from the blood donation beds. 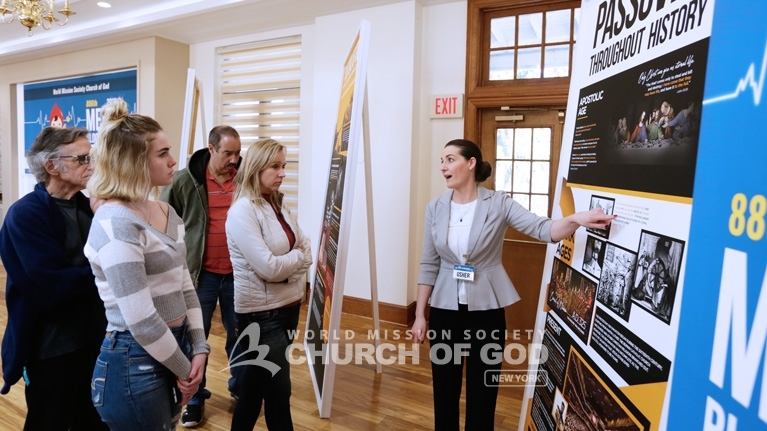 Guests also enjoyed walking through an exhibit made up of panels explaining about the New Covenant Passover found in the Bible. Each donor’s participation played an essential role to the bigger picture: saving lives. 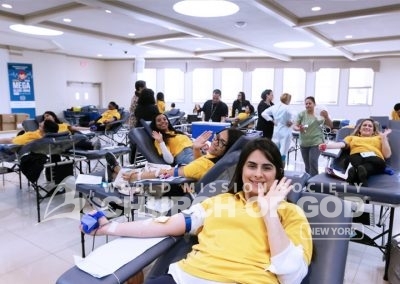 Frequent hurricanes and winter storms, forced blood centers to cancel their donation drives. Moreover, in some cases, they ran out of blood to supply to hospitals, which need it for life saving-procedures. Due to such circumstances, overall participation in U.S. blood drives resulted in lower than anticipated results. 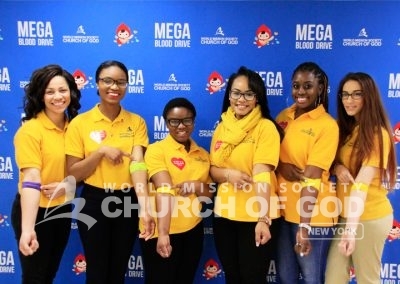 However, the Church of God, understanding the importance of donating blood, pulled through by hosting the Mega Blood Drive in 12 different locations along the East Coast. 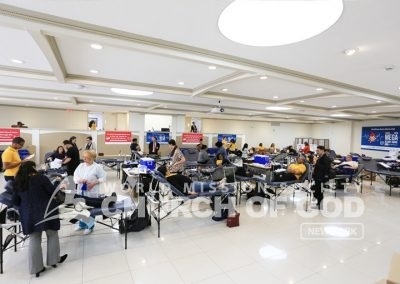 The Church of God collaborated with several blood banks along the East Coast. This includes Community Blood Center, Community Blood Services, Miller-Keystone Blood Center, Massachusetts General Hospital, New York Blood Center, OneBlood, The Blood Connection and Virginia Blood Center. Guests who came to donate were also treated to a life-size panel exhibit of the history of the New Covenant Passover. 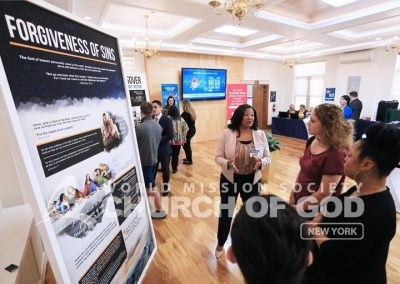 Visitors to the Church of God learned about the promise of the forgiveness of sins given through the New Covenant Passover. 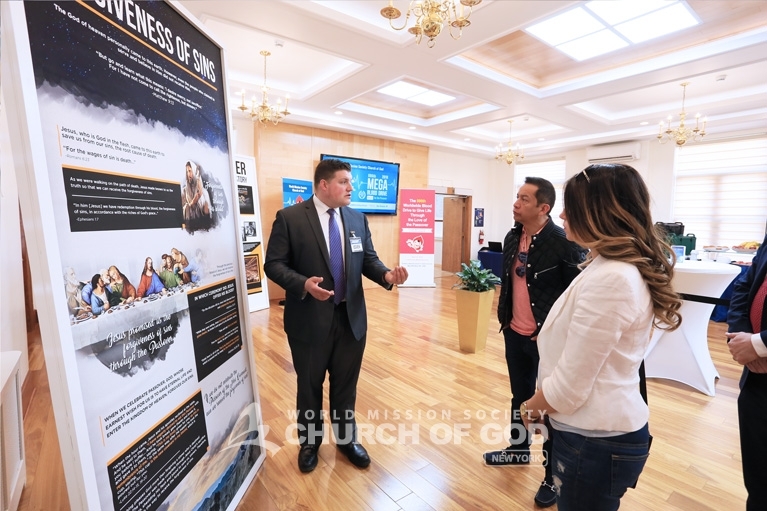 First time visitors to the Church of God were surprised to learn that we can receive Jesus' blood, which gives us the forgiveness of sins, through the Passover. 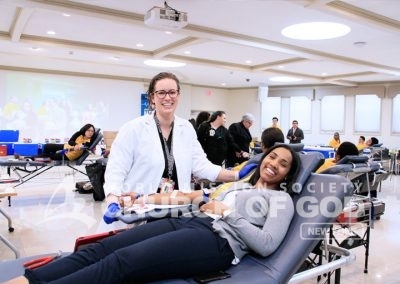 Raising awareness about saving lives through the blood drive was not the only thing accomplished through this event. Additionally, there was an exhibit about how to receive eternal life through the Passover. 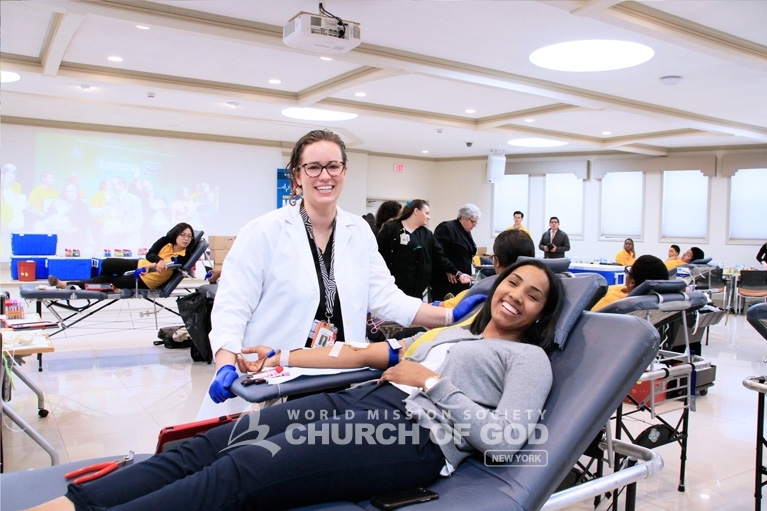 Just as we can save lives by donating our blood, Christ gave His blood through the New Covenant Passover to grant us eternal life. 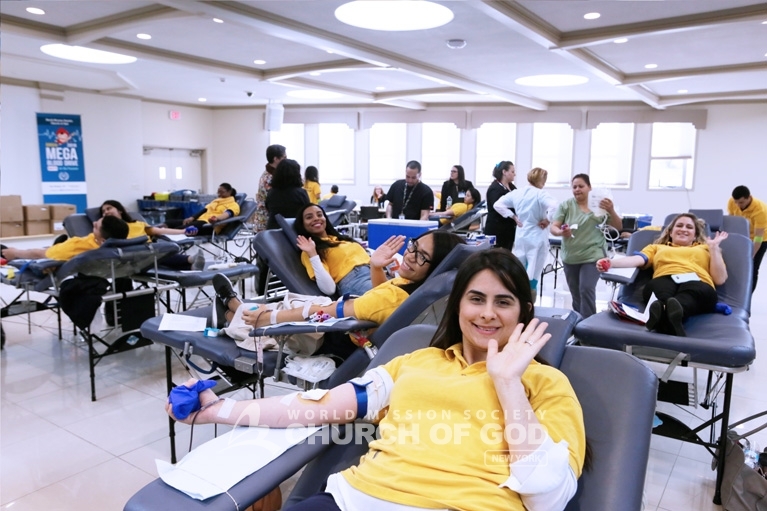 The blood drive was a huge success as the donors, church volunteers, community officials, and the blood center staff all had positive comments about their participation. 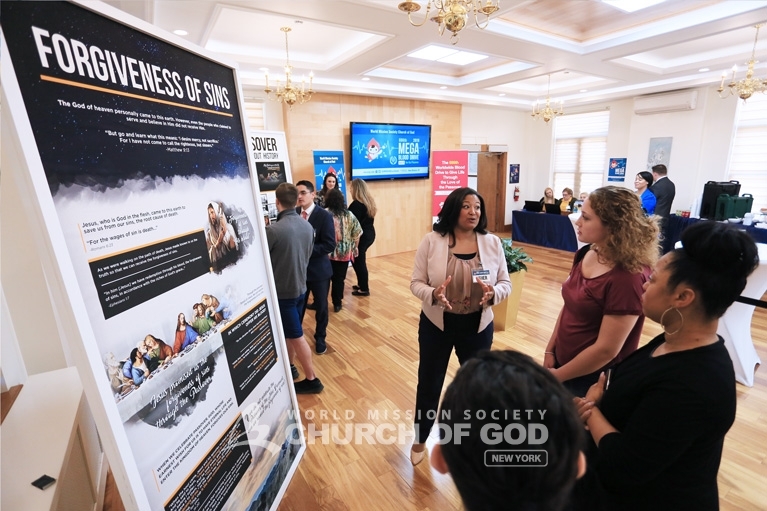 To learn more about the Church of God’s activities, see our activities page, or contact us to find out how to join a future event. 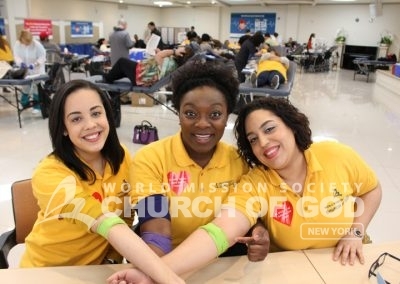 Church of God volunteers say "hi" as they donate blood. 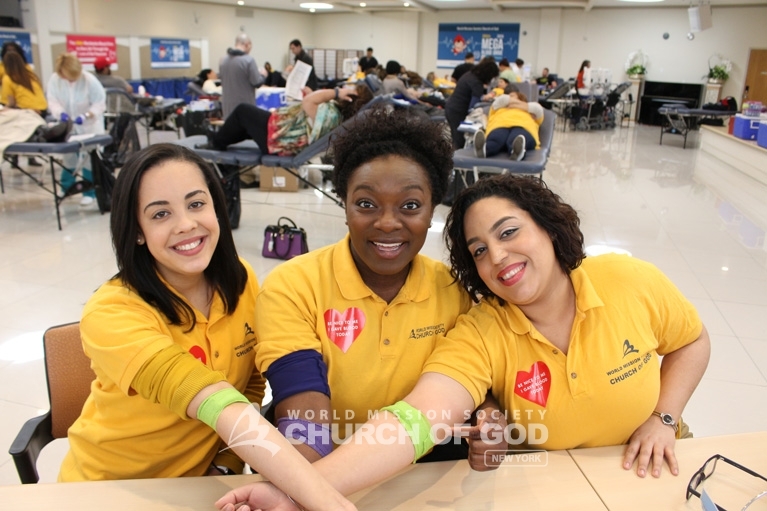 Church of God volunteers who donated show off their bandages like badges of honor after donating blood to help save lives. 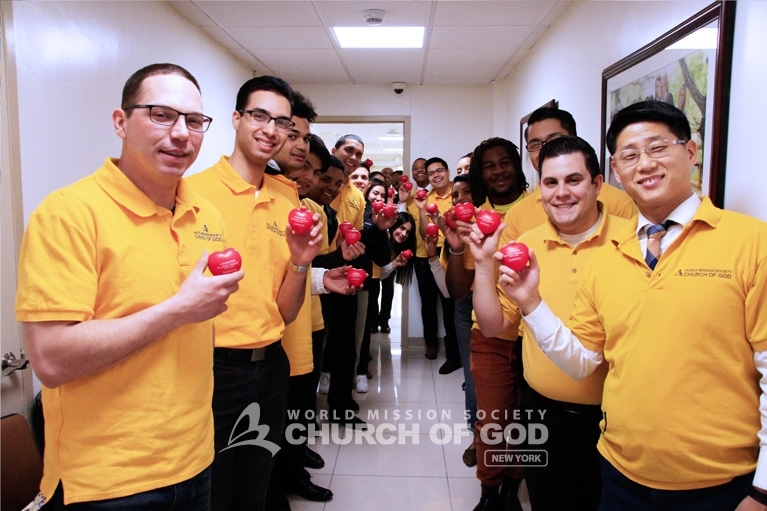 Church of God donors holding up stress relievers in the shape of hearts, saying, "I Donated Blood Today!" 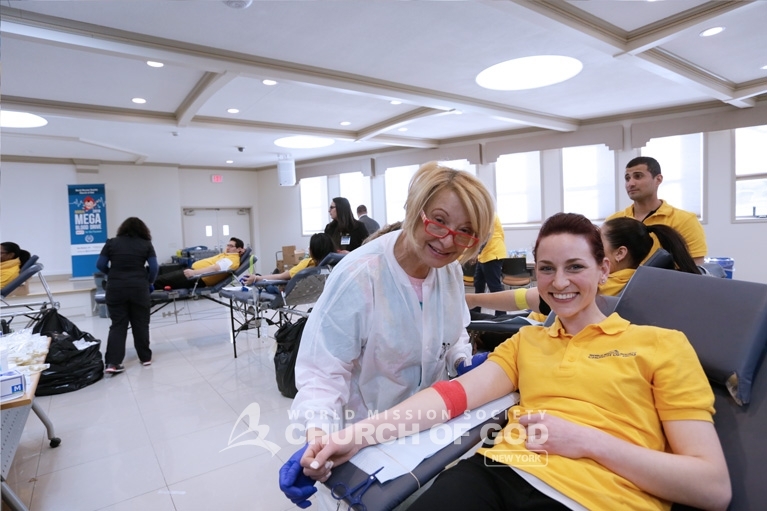 After donating blood, Church of God members show the proof of their valiant act. What an amazing church! This is such a remarkable event! I was able to attend, there were so many people and the members all had bright smiling face prepared to donate. They also had a beautiful exhibition about the Passover New covenant, to show why the reason to host this event. I recommend this church to everyone. So happy to see so many people along the East Coast uniting for a great cause because of the World Mission Society Church of God. I am so proud to be a part of such a wonderful and inspiring organization that practices what they preach. 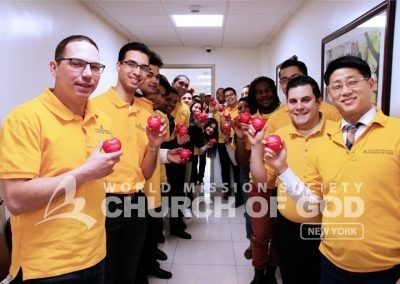 Saving lives physically and spiritually through the New Covenant Passover are both important. Through this Mega Blood Drive I can see it is being accomplished. Great job!